“The U.S. is an invader country; we do not allow it to interfere at all,” al-Sadr said in a statement in response to how his Sayirun (“On the Move”) Coalition plans to form a new government in Iraq, reported the Washington Times. Iraq’s Election Commission declared al-Sadr’s Sayirun Coalition the winner of the majority of seats in Parliament in May’s national elections. Since al-Sadr did not register to run in the election, he cannot become Iraq’s next prime minister. Prior to the official release of Iraq’s election results, the Sayirun Coalition was believed to have won one-sixth of Iraq’s 18 provinces. Al-Sadr joined forces with several allied blocs in Iraq to form a government. These elections were of particular importance given Iraq’s recent liberation from the grips of the Islamic State. In March, the State Department said Islamic State jihadists are “adapting” to the fall of their so-called caliphate in Iraq and Syria. Al-Sadr’s statements on Wednesday indicated his lack of willingness to see America’s influence there. 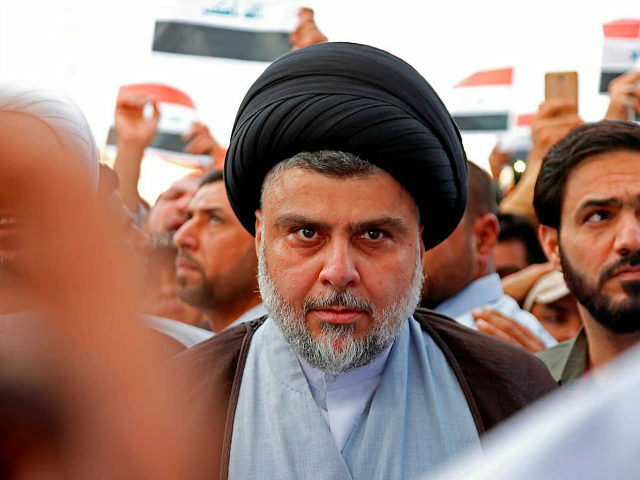 Soon after his declared victory, Iran’s ambassador to Baghdad Iraj Masjedi said al-Sadr is a “dear and influential friend and brother” of the Islamic Republic of Iran. In an interview with Alalam news network, Masjedi reportedly said Iran “welcomes and supports the will of the Iraqi people” and praised the “age-old and deep-rooted relations” between Iran and al-Sadr. Despite tensions between them, their opposition to the United States and Israel are two things al-Sadr and Iran appear to agree on. Prior to President Donald Trump’s official recognition of Jerusalem as Israel’s capital and the historic relocation of the U.S. Embassy to Jerusalem on May 14, al-Sadr reportedly said the act of relocating the U.S. Embassy would amount to a “declaration of war against Islam” and that it would result in the formation of an armed group to liberate the holy city.